The Georgia Log Cabin Republicans endorsed Secretary of State Brian Kemp for governor – even though the Republican candidate recently expressed strong anti-LGBTQ views. 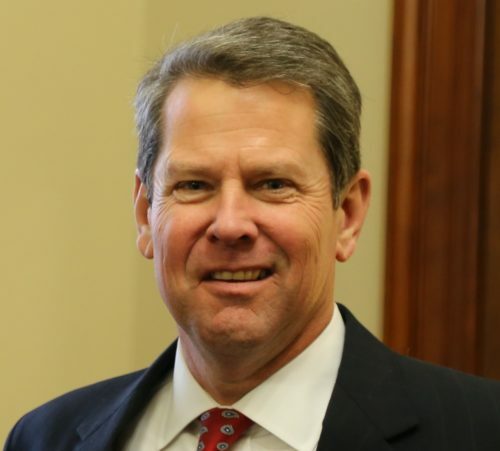 Last week, Kemp won the Republican primary for governor of Georgia. Immediately after, he reiterated his support for undermining antidiscrimination legislation with religious exemptions. That didn’t stop the George LCR from endorsing Kemp, making him the first gubernatorial candidate that the organization has endorsed in its history. “Georgia Log Cabin Republicans endorsed Brian Kemp because our organization is based on Republican principles, and Brian Kemp represents many of those principles,” the organization wrote in a statement. “He is a small business owner who wants to put Georgians first and not pit them against each other. Kemp will continue the amazing legacy of Gov. Deal by creating jobs and making Georgia a great place to start businesses. Democratic nominee Stacey Abrams has a long record of supporting LGBTQ equality, going back to her time as a student at Spelman College. But the Georgia LCR said that supporting equality is actually a way to “exploit” LGBTQ voters. The “News” section of their website, though, shows that the organization is far more concerned with advancing Republican politics than it is with advancing LGBTQ equality.